Billion Dollar Brows is a high definition brow treatment from Hollywood. Featuring precision eyebrow shaping using a special tool, waxing to emphasise the brows, optional tinting and finished with make-up for a fantastic look. 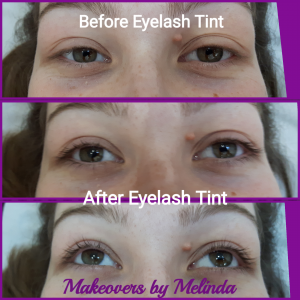 * A patch test is required for Tints at least 24 hours before. I stock Brow products for ladies who are confident to shape their own brows and like to use cosmetics to define their brows for a professional look. Please see the Billion Dollar Brows Youtube Channel for tutorial videos. I particularly like the Brow Buddy Kit Tutorial & Demo by Billion Dollar Brows video. Please contact me if you would like to purchase Billion Dollar Brows products. An eyelash tint is a great way to colour your lashes for that wide-awake look in the morning. 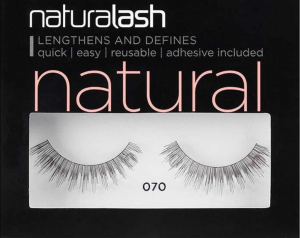 Fantastic for ladies with fair lashes as it really defines and opens your eyes. Perfect for mascara free holidays, for those who lack the time to apply mascara daily or if you prefer a more natural look. Eyebrow tints are perfect for adding definition to your eyebrows which frame your face. Great for blonde eyebrows or those with fading colour, go as light or as dark as you want. For your Special Occasion, you might like to have strip lashes applied to give you a ‘WOW’ factor. Choose between Naturally Glam or Subtle Glam for a finishing touch to your eye make-up on the day of your event. Please contact me to discuss other styles. Strip Lashes: £5 for a set of lashes and £5 for the application. If you are extra sensitive a patch test is advisable, this can be done at a consultation or if you have a trial. Products to suit individual skin types. Cleanse, Facial Massage, Exfoliation, Mask, Tone & Moisturise. Cleanse, Exfoliate, Mask, Tone and Moisturise £18 (30 minutes). Arrange a time to sample some skin care products and find the ones that suit you, with the option to purchase products. Ayurveda is a specialist massage that helps tone the muscles in the face, reduces stress, eliminates waste by improving lymphatic drainage from tissues, and improves energy levels to restore balance. Ayurveda nourishes not only the face but the whole body enhancing general well-being. Ayurvedic massage focuses on ‘marma points’ which are the body’s vital energy points. The marma points are considered important in promoting balance and stimulating the body’s circulatory, lymphatic and nervous systems. Includes face, neck and shoulders. £125 (6 for the price of 5). What is the ArōmaTouch Massage? The dōTERRA ArōmaTouch Technique is a clinical approach to applying essential oils along energy meridians and visceral contact points of the back and feet to help balance the nervous systems of the body. Developed by Dr. David Hill, a leading expert in integrative medicine and therapeutic applications of essential oils, the ArōmaTouch Technique improves well-being by reducing physical and emotional stresses and by support healthy autonomic function. The technique uses dōTERRA Certified Pure Therapeutic Grade (CPTG) essential oils for an unparalleled grounding experience. What happens during the ArōmaTouch Treatment? The ArōmaTouch Treatment is carried out in specific stages by a certified practitioner. Each stage having its own essential oils. Each essential oil being applied as part of an aromatherapy massage, with specific hand movements and flows to aid in achievement of the best results possible. 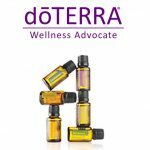 With each pairing of oils, eight in total with four paring and distinct stages as a result, your body and mind are taken through cycles that aid you to cleanse, rebuild and heal. The oils in action together create a stronger effect than each one could have in use alone. An ArōmaTouch Treatment is £30 (allow approximately 40 minutes). In the first stage stress is the factor being addressed, clearing stress effectively is critical to achieving good health and release stress and thoughts which have been accumulating, therefore, helping you fully relax. One of the knock on effects of stress is the reduction of immune efficiency, hence people catch colds and various other illnesses more easily when stressed. Having addressed the issue of stress in stage one it then comes to boosting the immune system in stage 2 and aiding it to work effectively again. When the immune response is reduced due to stress and toxicity then inflammation can become an issue. So having begun work on clearing stress, and then improving immune action, it comes to a point where inflammation around and within the body can be healed with greater ease. Stage 4 is the final stage of the treatment and the point at which the technique gives the best result possible. Having released, boosted and calmed the body it has an effect of balancing all the body’s systems including your mental and emotional wellbeing, therefore, creating homeostasis. Your body and mind comes into a state where peak condition can occur with ease due to negative factors being cleansed and you will sleep really well. Please enquire about my ArōmaTouch Treatment via my contact page. Is choosing the correct skincare a problem for you? Do you find there are so many products to choose from and you don’t know where to start? I can help with choosing the right products to suit you and your skin. My skincare ranges are Mary Kay Cosmetics, Proto-col Health & Beauty and dōTERRA. For a fun beauty session for yourself or shared with one or two friends how about a Pamper and Play appointment where you will have the opportunity to try various skincare products and some make-up followed by the option to purchase. Please enquire about my free Skincare Consultations or my Pamper and Play sessions via my contact page. If you need help with most of these areas you will benefit from a Make-up lesson. My cosmetic ranges are Mary Kay Cosmetics, Proto-col Health & Beauty, Billion Dollar Brows and Blinc Cosmetics. Please enquire about my free Make-up Consultations via my contact page. When I started my business in 2000 I was searching for a company that offered a make-up range as well as skincare products. After comparing a number of companies I decided Mary Kay Cosmetics had the staying power and quality that I was looking for as well as a wide range to suit all skin types and tones. The results from using their skincare and make-up products have been wonderful which is why I continue to use them after all these years. The company also keep up with the cosmetic and skincare industry and have won some great rewards for their products. I personally have used them all this time because I love the anti-aging products, my skin feels great and the make-up lasts all day. I offer a personalised service that works best for you. Just tell me if you’d like a one-to-one consultation, fun with friends, make-up tips, skin care advice or free samples to try before you buy. Shop online in my Mary Kay Cosmetics shop or order by email/phone. I’d love to help with your beauty needs – please get in touch via my contact page. Blinc Cosmetics are great for their lasting qualities and perfect for ladies who find their mascara smudges easily even if it’s supposed to be waterproof. I find they last all day and only come off when you want them too which can be done easily with warm water and gentle pressure. I have been using blinc heated lash curlers for 14 years or more and find them fantastic for opening the eyes and curling the lashes whilst lengthening them giving amazing results. I stock some of my favourite blinc products so please contact me to try, or buy. I can arrange postage when necessary. HEAT YOUR LASHES TO A CURL! Conventional skin-pinching curlers clamp, dent and use excessive pressure that can damage or even break your lashes. Nothing is better than heat to set a long lasting curl. Heat is used to curl the hair on your head…the same principle applies for your lashes. blinc’s heated lash curler is simple to use and shapes lashes in seconds. Its innovative design delivers a precise amount of heat, while making it easy to reach even the tiniest lashes. Its sleek, compact size makes it easy to carry, even in the smallest of handbags. The lash curler has a temperature control mechanism and protective contact guard ensures its safe use. 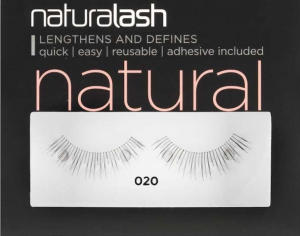 Your lashes will show extravagant curves that will last all day! As with our original blinc mascara (formerly known as Kiss Me), blinc’s AMPLIFIED mascara coats lashes with a glossy, volumizing and extending coat that forms tiny water resistant “tubes” around the lash. Unlike our original formula, blinc mascara AMPLIFIED applies more like a traditional mascara, giving you the ability to add as many coats as you want to build your desired look! Because it is not as wet of a formula, you can even go back and reapply if needed, after it dries. BRUSH IT ON . SLIDE IT OFF! blinc is the original liquid eyeliner invented to form a water-resistant “layer of color” that contours your eyes. Since blinc eyeliner is not a cosmetic paint, it cannot smudge, run or flake – even if you cry or rub your eyes. The intense color creates a dramatic look that lasts all day. Only when you are ready, the layer of color will effortlessly slide off your skin into your hand with only the combination of water and gentle pressure. No harsh makeup remover is required. In an easy to use, convenient, marker-tipped pen, blinc’s liquid eyeliner can be applied with precision. It glides on smoothly and the ultra fine tip provides for extreme accuracy, allowing you to create virtually any look you desire, from a thin classic line, to dramatic, winged looks. blinc eyeliner is ideal for those with sensitive eyes, contact lens wearers, performers and active people in search of eyeliner whose look, hold and ease of removal is without compromise. Whether your daily activities take you from the office, to your workout and then out to dinner, blinc eyeliner will look as good in the evening as it did when you first applied it in the morning. blinc eyeliner does not penetrate your skin, leave any tint or residue behind or require harsh makeup removers. This makes blinc healthier for your surrounding eye area, since there is no need to rub the part of your face that is most susceptible to wrinkling. blinc eyeliner delivers the best of both worlds…the hold that you have always wanted and the ease-of-removal that you have always wished for. It glides on smoothly and the ultra fine brush provides for extreme accuracy, allowing you to create virtually any look you desire, from a thin classic line, to dramatic, winged looks. blinc ultrathin liquid eyeliner pen is unique in that it features a brush so thin that it allows you to add intense black color as close to your upper and lower lash line as possible!